pennine: Well Said Mr Farage And Congratulations On The Standing Ovation Given By The Good American People At The CPAC Meeting. If Not For You & The UKIP Team We Would Never Have Had Our Democratic EU Referendum. We Owe You A Huge Debt Of Gratitude!!! Mr Farage Is Bang-On When He Points Out How We Must Hang Onto That Victory Both America & Britain Has Won, As I Look At How Dark & Seemingly God Forsaken -(Well Many In Earthly Power Have Banned His Presence Here )-Our World Is Becoming In Places, We Do Otherwise At Our Peril. It’s My Personal Belief (without intention of encroaching on other people’s views and philosophies) That This Is Every Bit A Spiritual War As It Is Of Physical Strife. May We Be Given The Strength, Courage, Fortitude & Wisdom To Come Through. 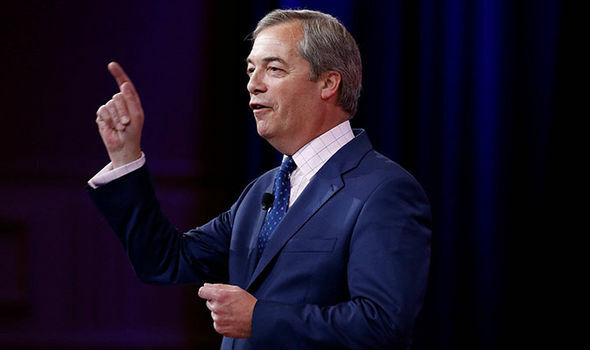 NIGEL Farage has received a standing ovation at the CPAC summit in America after giving a passionate speech in favour of Donald Trump and Brexit. Nigel Farage praised Donald Trump and drew cheers from the crowd after boasting voters in America and Britain had “stuffed the establishment”. 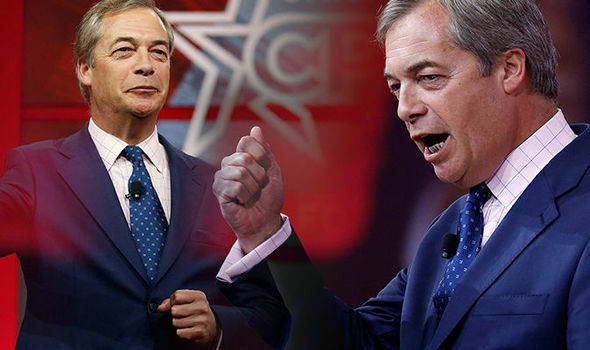 Speaking at the Conservative Political Action Conference (CPAC), Mr Farage brought the house down with a triumphant speech after Mr Trump had taken to the stage earlier in the day. 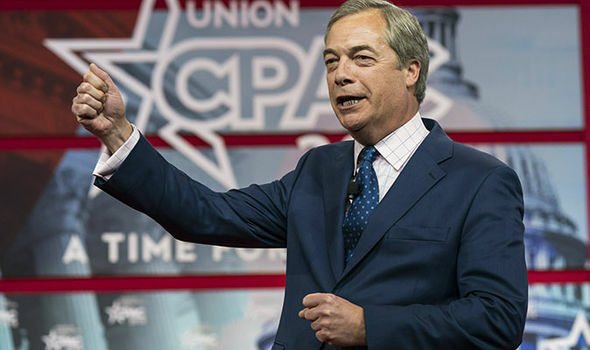 Mr Farage opened his CPAC address, after being introduced as ‘Mr Brexit’, by praising the audience for helping Mr Trump get elected as US president in 2016. He said Mr Trump had surpassed expectations and boosted America’s reputation – despite the various controversies which have besieged the White House since he took power in January 2017. Mr Farage said: “I though he’d be good. But I’ve got to tell you, he has exceeded all expectations. Mr Farage said he had spoken to Mr Trump after his speech today and was impressed by his oozing confidence. He said: “I was fortunate that shortly after he came off this stage I got the chance to have a conversation with him. And he issued a rallying cry ahead of the upcoming midterm elections in America – as well as a hypothetical Brexit re-vote in the UK. He said he completely backed his decision to campaign for Mr Trump and likewise did not regret his influence during the Brexit referendum. Mr Farage said: “It was the best decision I’ve ever made in my life. “If you insult the intelligence and decency of people and force a second Brexit vote, I will be straight back in the front line of that campaign. I will! “Do not underestimate the power of ordinary people when they get together and go out and make things happen. “I don’t want to have to do the against but if they want the battle refought… next time, it’ll be no more Mr Nice Guy! After leaving the stage the former Ukip leader received a huge standing ovation from the US audience.